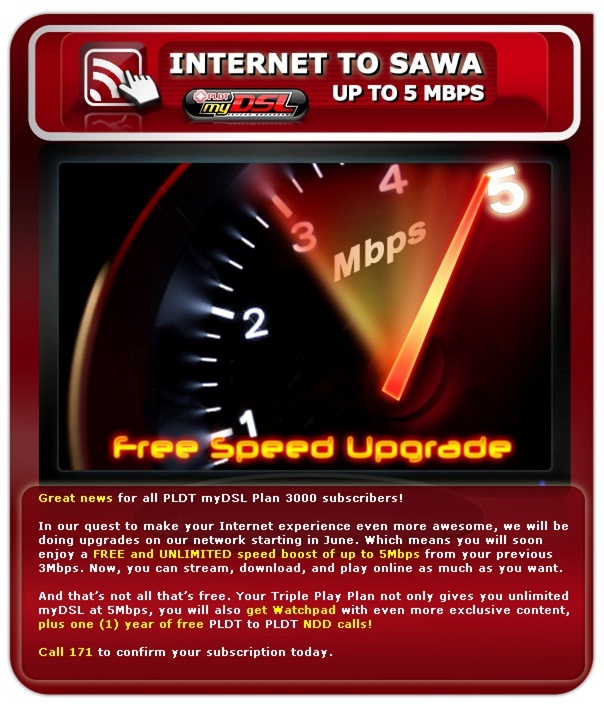 I have been a PLDT myDSL subscriber for 3 years now and it has helped me a lot in doing my online activities, including school, work and blogging. Unlike before, when I had to keep on going to a computer shop to surf the net with very limited hours because it was very costly. So I only had to budget my time and only prioritized what needed to be done. Many years ago, I had to put up with a very slow internet dial-up access which is 56K speed only. What can you accomplish with that kind of speed? 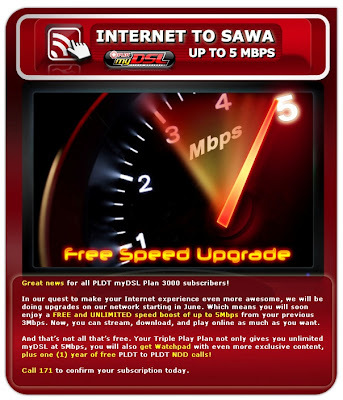 With PLDT myDSL internet and Nuffnang, I can maximize my experience as a blogger. Nobody can go wrong with that! Visit www.myworldmydsl.com for more information or call 171 to confirm your subscription today!